THE CHESHIRE DESIGN HOUSE: DAY 10 ish Operation craft room! I am desperate to finish my room but its a big big job so I have asked for help...in the form of some fabby reading material!! 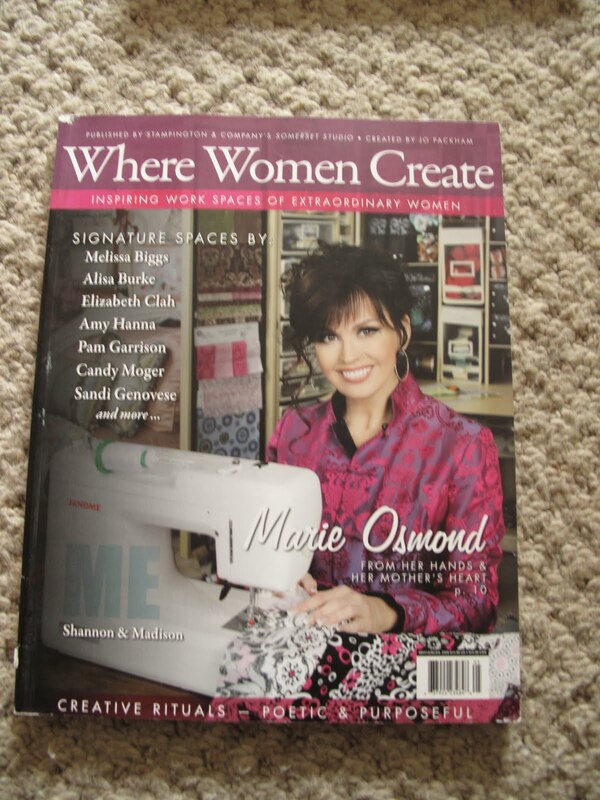 Where women create....love it...even Marie Osmand is in there. Studios magazine, this this is my favourite, I buy every issue, it had Elsie Flannigan in the last issue who is a lovely crafter, quite 'alternative' but great. 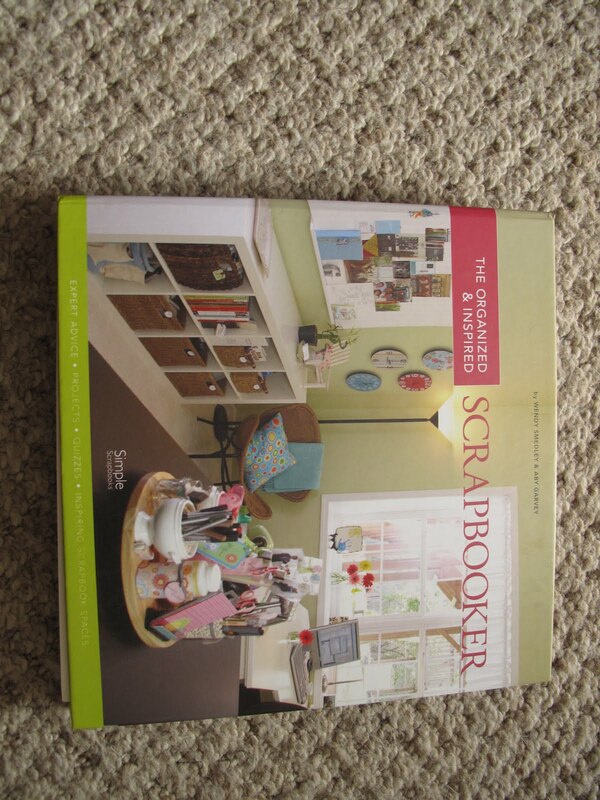 The workbook called the organized and inspired scrapbooker has a step by step approach on how to sort out your space, it is pace with ideas and helps you work out what you need to make your space WORK rather than just making it nice. It went with an online workshop I did with 'Big Picture Scrapbooking' its amazing! its now out of print but I have 2 so if anyone would like one I am happy to sell it £20 plus P&P! no idea why this pic will not loadthe right way round! I still have loads to do ,I cant see the wood for the trees just yet! Father-in -law is coming on Sunday to put some rails up, I found then in the back of room! can you believe I have all the tools but haven't used them! 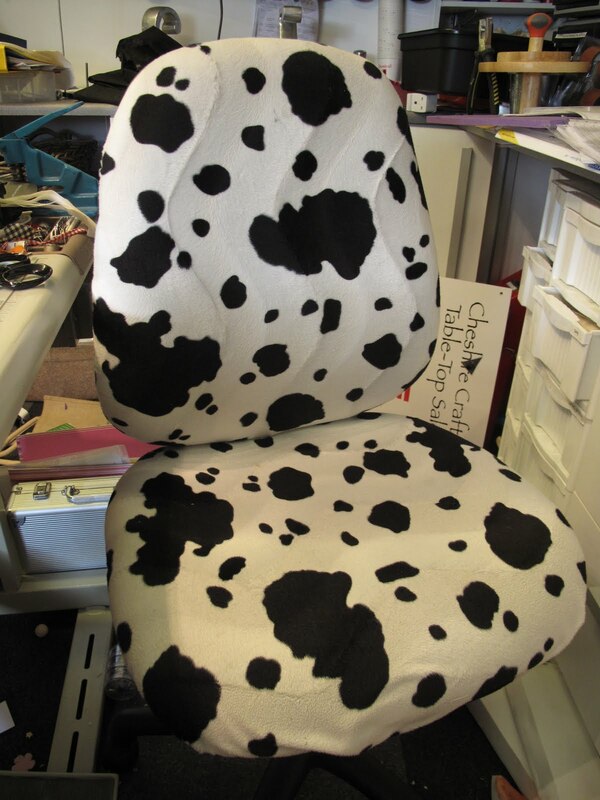 I thought you m also like to see me old office chair...everyone should have a cow print fur chair I have noticed its a bit baggy on the seat..need to sort that out!.. I managed to clear out a few things, and I could see carpet at one point - but that ended when I realised that was only because I'd moved things to my bedroom to give me a bit of space to sort through things. So, 2 hours & 2 bin bags later - I'm still unable to see my floor. I need motivating - Jane - is there light at the end of the tunnel?? hi ther, nice to see im giving you inspiration, i WILL finish hopefully soon and yes there is light at the end of the tunnel.....just hope its not the oncoming train!!!!! I need to craft!!! where is my magic wand! 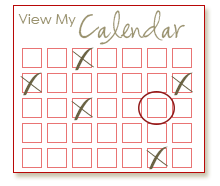 Oh, can't wait to see the finished room! 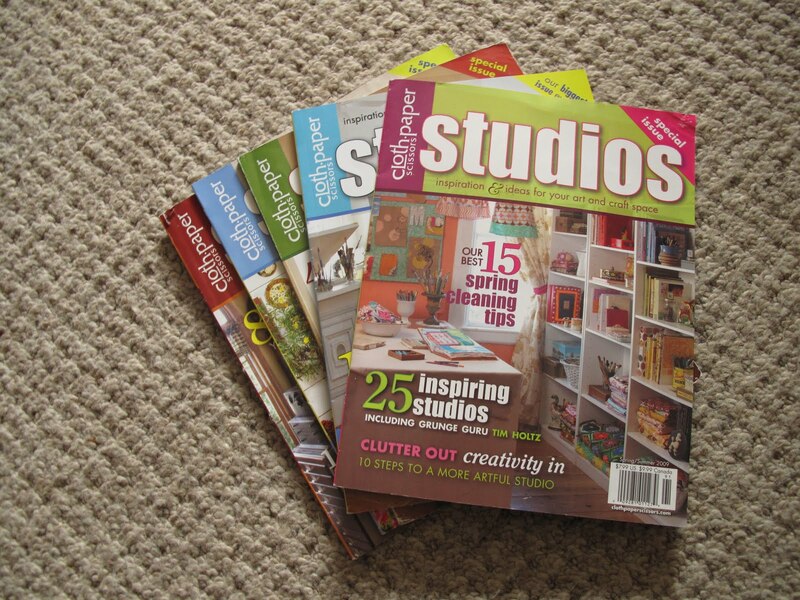 Can I ask where you get the Studio mag in the UK please?